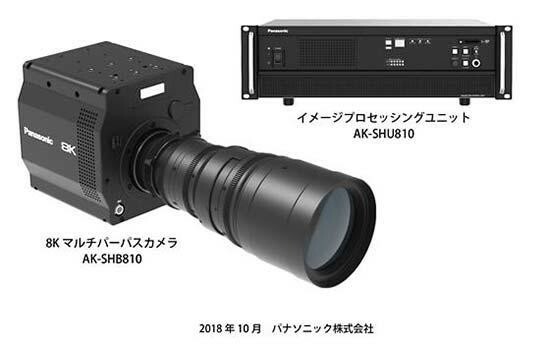 Panasonic has developed an 8K camera system equipped with the world’s first 8K organic sensor. Panasonic Corporation has developed the 8K camera system equipped with the world’s first * 1 8K organic sensor. We plan to launch the autumn of 2019 2 . 8K Multipurpose Camera AK – SHB 810 is a compact, lightweight, box – type camera that uses a PL lens mount. Equipped with 8K organic sensor which will be the first in the world * 1 . Efficient photoelectric conversion and charge accumulation are achieved at the same time by laminated structure using organic thin film for photoelectric conversion part. Global shutter with high dynamic range, skew distortion and flash band corresponding to light / dark difference at high resolution of 8K * 3We realized , electronic ND filter function. 2: We will receive about half a year from order receipt to delivery. Panasonic Corporation Connected Solutions Co., Ltd.
A newly developed organic sensor realizes a laminated structure in which an electric charge accumulation part is arranged in a lower layer by using an organic thin film for a photoelectric conversion part. With each structure completely independent, both photoelectric conversion and charge accumulation are efficiently compatible. First, in the photoelectric conversion part, the area of the light receiving part is enlarged, realizing a wide dynamic range corresponding to the contrast difference. For example, even at the stadium, shooting at 8 K high resolution will be possible even for scenes with a large difference in brightness, such as a strong sunlight field and an audience seating shade.